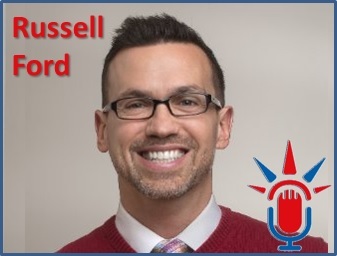 In this episode we talk to immigration attorney Russell Ford on immigration issues with higher education staff and educators as well as the different challenges for administrators and professors. Ever since clerking for a small, business immigration firm in New Orleans during my time at Tulane Law School, I was taken with the idea of being an entrepreneurial lawyer in a practice that focuses on helping people – from the individuals who need proper documentation to work in the United States to the Human Resources professionals recruiting those individuals and managing a company’s immigration systems and procedures to the In-House Counsel responsible for ensuring his company is in compliance with the maze of immigration rules and regulations. Russell’s experience in immigration since 1999 and in the higher education industry since 2001. J1 to H1B with a two year home residency requirement. Since most professors have about the U.S. equivalent of Bachelors degree, the credential evaluation is easier. O-1 path is a good option if petitioner can’t get waiver or wait for the J-1. Job title and requirements can play a critical role. He shared a personal example in which a woman’s basketball coach studied sports management, but still had challenges for H-1B. We also discussed the similarities in representing a higher education professionals and foreign entrepreneurs. How the ‘Shark Tank effect’ has highlighted more immigration options for progressive higher education workers. Working with an immigration attorney is more about filling out forms for a visa category, but working with individuals with their end goal in mind. A good immigration attorney will use the programs and procedures to get you there. Primary business immigration working with institutions on inbound and outbound support. Entrepreneurs and higher education systems. SEVIS compliance and training for higher education systems and universities. Enjoys working with business and university practices to enable talent and foster new ideas while working in compliance with government systems and regulations. 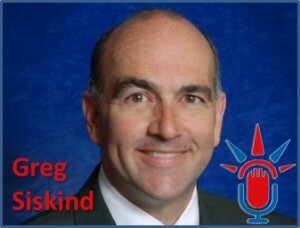 Greg Siskind is a founding partner of Siskind Susser and has practiced immigration law for nearly 25 years. 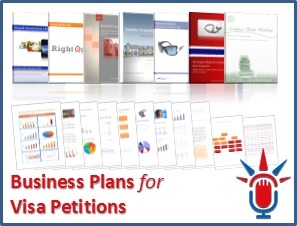 He writes several books including the annually published LexisNexis J-1 Visa Guidebook, the ABA’s Lawyers Guide to Marketing on the Internet and SHRM’s Employer’s Immigration Compliance Desk Reference. In 1994, he created the first immigration law web site and in 1998 he created the world’s first law blog. Greg was recently named by Who’s Who in Corporate Immigration Law as one of the top ten immigration lawyers in the world and is the only immigration lawyer ever featured on the cover of the American Bar Association Journal. He also serves on Board of Governors of the American Immigration Lawyers Association. The impact of President Obama’s recent executive actions on business and employment immigration. Advocacy campaign when then H1B caps was raised. The timing when Feds lower and raise the number of H1B caps depends on the economy. The concept of pre-registration that could impact people that are waiting in employment based green card lines where they will allow those people to file for employment authorization documents & travel documents even though they can’t file an Adjustment application because green card numbers are not available and that really has a big impact on China and India in particularly employment based second preference category for advanced skilled workers and the lowest skilled workers also will be able to work immediately after filing a green card application as opposed to having to wait for 10-12 years to get their green card. The concept of visa modernization basically President Obama directing USCIS and the State Department to look at modernizing the visa system and considering a variety of ways that they can make the system work efficiently. All federal agencies make the announcements of new rules and proposed rule making. The Department of Homeland Security and the Department of State jointly published a request basically for information, put out a series of questions, asking for feedbacks on how to improve the immigration system. The National Interest Waiver green card holder category which is traditionally been used for people on the Sciences to be opened up for Entrepreneurs. To use the authority which the immigration services called “parole in place” which will allow certain Entrepreneurs who are considered to be providing “significant public benefit” to be able to get what’s called “parole status” in the U.S. which allows them to be in the U.S. and work without necessarily having to fit into an existing visa category. People on H1B visas right now their spouses can’t work on the basis of being a spouse, that is supposed to be changing where H4 Spouses are gonna be able to get work authorization, that’s coming out sometime in the next couple of weeks. Memo dealing with L1B Specialized Knowledge Workers, these are intracompany transfers for people working for at least a year overseas for a company in highly specialized position and the company wants to bring them over, the State Department and the Immigration Service has been very inconsistent and has been very difficult in approving applications for people in that category and hopefully this guidance memo is gonna make it easier for the companies to be able to file applications that can get approved. H1B Students to request for visa extension for up to 29 months which is used to be just 12 months. Being able to apply for Adjustment Application or Special Work Authorization on the basis of having a green card application filed and maybe able to transition from Student status into the Work status type of the green card and skip the H1B all together. They have to be active in an organization or have the access to information that’s coming out these changes. Go to an organization like SHRM. SHRM has been active in implicating an employment based immigration reform and putting a lot of information out to their members. If you are a company with outside immigration counsel, check with your outside lawyers to see what kind of information you’re putting out. Be proactive and go out and work with a number of immigration lawyers. It’s important to understand the timings of when these applications are gonna be about to be filed when people are gonna get their work authorization documents, what to happen when there is a sticky issue with your workers. Technology has given us marketing boosts because of the internet. Being an early adapter to keep your marketing edge and make you more efficient and could help you be able to produce high-quality work. Always try to investigate where there are technology solutions out there that can improve the quality of your work. A lot of people who are not great marketers are pretty good writers, try and channel talents into business development. Try to figure out where your talents lie. 2015 will be a very exciting year for immigration, head start with the President’s Announcement. We’re going to see Congress, a lot of legislative initiative this year on producing immigration legislation. To pay attention with what’s happening because it’s gonna change the way a lot of us have to do with immigration on a day to day basis, hope in a good way. For Company needing help to get a visa for their employee. Help with family immigration issues. 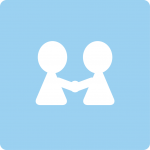 Advice companies of employer complaints. The below 18 points were originally written by Greg Siskind on January 9, 2015 and appeared on the ILW blog at this link. 1. Streamlining and improve immigrant visa processing at US consulates. 2. Streamlining and improve non-immigrant visa processing at US consulates. 4. Improving the process for changing non-immigrant status. 5. Improving the process for adjusting status to permanent residency. 6. Improving the process of inspecting immigrants and non-immigrants at US ports of entry. 7. Implementing policy changes to attract the world’s most talented researchers to US universities, national laboratories, and other research institutions. 8. Implementing policy changes to attract the world’s most talented entrepreneurs who want to start businesses in the US. 9. Policies that could assist in creating additional immigration opportunities for high-demand professions such as physicians. 10. Ways to improve the EB-5 immigrant investor program. 11. How to improve labor market requirements for temporary workers to protect both US and temporary foreign workers and also achieve efficiency for employers and government agencies. 12. Improving the occupational data that is used to determine prevailing wages for various visa programs. 13. How to improve the diversity visa program including stopping fraud. 14. Any other changes to combat waste, fraud, and abuse in the legal immigration system. 15. Ways to ensure that non-immigrant visa numbers are fully and fairly allocated. 16. Ways to ensure that immigrant visa numbers are fully and fairly allocated. 17. Which elements of the current legal immigration system are most in need of modernized IT solutions? 18. Which government-collected data and metrics would be must valuable to make available to the public in order to improve oversight and understanding of the legal immigration system? Please leave your comments and suggestions for these 18 items below or at the original ILW blog post. Michael Cataliotti is a transactional attorney practicing primarily in the areas of business immigration, entertainment transactions, and corporate governance for U.S. start-ups or expansions. 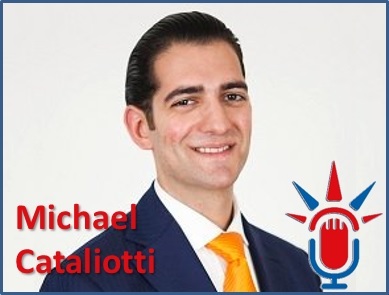 Michael advises clients from such industries as food & beverage, music, fashion, film, television, technology, and digital media, as well as countries across the globe. He represents musicians, artists, photographers, authors, directors, producers, screenwriters, and celebrity talent in a wide-array of immigration matters, and both corporate and entertainment transactions involving start-up and established companies related to their respective industries. A more specific detail about Sports and Entertainment Immigration. What makes Entertainment Immigration unique as it concerns a very specific handful of visa options. Sample story that didn’t work out when the Applicant submitted a fabricated video performance as evidence. Will be under close introspection every time he/she applies thereafter. Dancers, Choreographers who have worked with a number of different sources, have gained a strong reputation in their home country or anywhere. Not necessary to have plenty of money to apply. Maximum of 3 years duration of stay. Will be more difficult for the young, upstart Musician or Music Producer who is behind the scene. Athletes, Entertainers or Individuals with significant international recognition in their industry. In many instances, requires less evidence than an O-visa to apply. More or less 1 year duration of stay. Athletes are allowed to stay longer than Artists. Signed to a reputable company and with tour schedule. Even if the trip is cheaper or easier and more convenient, it is NOT ideal to go to Canada or Mexico to have an interview due to a number of boarder crossing issues, unless you’re a Canadian national or Mexican. It is significantly easier and recommended to go elsewhere to have an interview (Europe being #1). Sports and Entertainment Immigration working with International Athletes as well as Entertainers, Artists and Performers. Providing the best visa solution to visa problem for Sports and Entertainment Industries. Act as cheerleaders to Clients. Keeping in touch with Public Relations Companies or Marketers or TV Agents. Collaborating with other Immigration Attorneys. 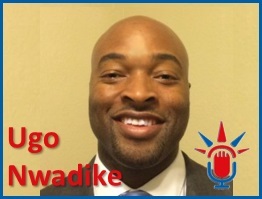 Ugo Nwadike of Amin & Nwadike, PLLC in Miami, Florida. His firm focuses on immigration with a particular leaning towards the Startup Community and Young Entrepreneurs. He is a Miami native having received his bachelor’s degree in Computer Science at the University of Miami and his law degree from St. Thomas University. Ugo has been practicing law for nearly 6 years practicing Real Estate and Commercial Litigation, but he is brand new to the immigration arena. As a newcomer, he’s excited to conquer the challenges ahead and is open to learning from seasoned practitioners that have overcome those same challenges. What is an “Internet Entrepreneur”? Special considerations for E-2 visa requirements. Special considerations for L-1A and even L-1B visa requirements. Get started developing your idea and immigration case early.